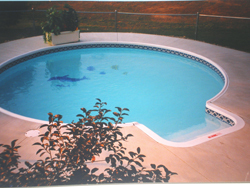 Pool safety is one of the most important things to consider when choosing a cover. 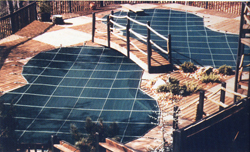 Pool covers not only protect your pool during the harsh winter months. They also provide an important safety measure especially for children. 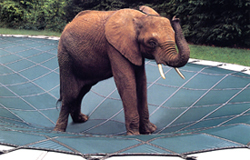 It is important that a pool cover not only fit well, but also that it be strong. It's strength prevents the cover from caving in should the weight of rain (or a child) collect on top of it. A quality pool cover provides the strength and fit to protect your pool and your family. 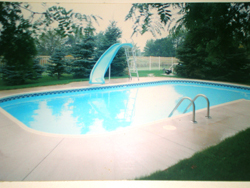 Loop-Loc pool covers come with a 12 year warranty!